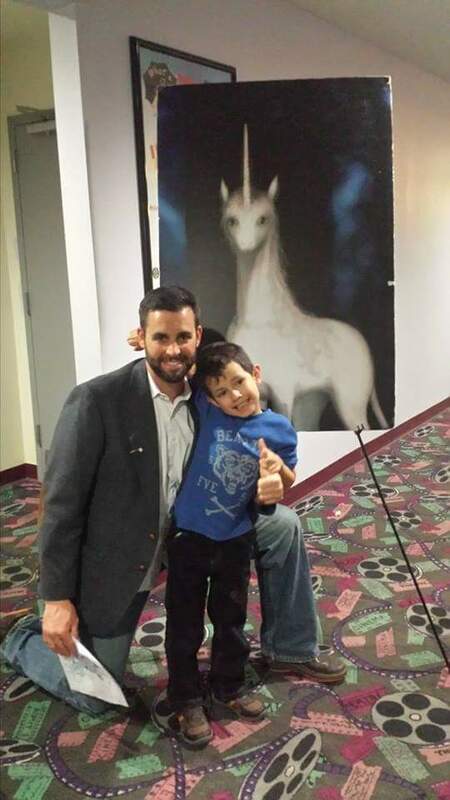 Until this week, I had not heard of the author, Mr. Beagle, nor his highly esteemed novel, The Last Unicorn. Normally, I reserve my blog for books I have read, but I haven’t actually read Beagle’s books, yet. 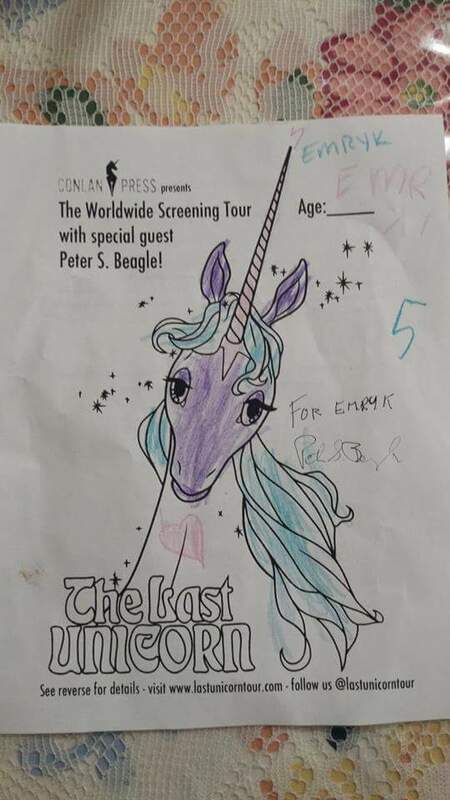 I’m writing this blog because our local movie theater screened The Last Unicorn and had a Q&A with the author so I was able to meet him and have him sign a book for me (I chose The Rhinoceros Who Quoted Nietzsche). He was a genuinely kind man and spoke fondly of watching Gunsmoke as a child (I live in Dodge City, Kansas, by the way). Since I work for the city in the summer, this opened a door for me to exchange emails with Peter. I’m planning to send him some Dodge City souvenirs to thank him for taking the time to visit us. After a quick email exchange he sent a very nice message to say that a Dodge City badge I mentioned would look nice on the wall at his home. I look forward to keeping in touch with Mr. Beagle, and perhaps convincing him to make another trek to our little town in Southwest Kansas. The Rhinoceros Who Quoted Nietzsche will be on my review list soon, but we already give Peter two thumbs up!